Last night Kathy and I went to the Phoenix Exploration of Consciousness meetup.com group for the third time. This is a great group of people. For the first hour, they just eat and socialize. After that, they do a group meditation, and often it's with binaural beat technology, typically the Monroe Institute's hemi-sync technology. The goal is to induce Monroe's "focus level" experiences. I've never had much luck with the hemi-sync courses, and I've never taken a class at the Monroe Institute. It's probably because focus level experiences have never been my primary goal in meditation, which has always been out-of-body experiences. Typically, the instructor or guide's voice does more to interrupt my journey than to guide me there. Nonetheless, I've been using the meetup as a chance to do some meditation and connect with friends. The group meets at 7:00pm, socializes and snacks for about an hour, then everybody plugs their headphones into splitters and FM receivers, and goes through the hemi-sync meditation. Last night I did not have an OBE, but I did get some interesting results. I was meditating, eyes closed, staring into the blackness in front of me. I was trying my best to ignore the voice on the recording, and do my own thing. I had visualized a vertical slit in the fabric of the blackness. It was kind of like a one-dimensional doorway, and I was trying to narrow my consciousness to the point where I could fit through that narrow slit-doorway. Unexpectedly, the doorway started to bend so that it was no longer a straight line. It bent into a semicircle. I wasn't consciously manipulating it, so it surprised me. Then the slit, now a semicircle, formed the outside profile of an eyeball. Slowly, my visualization panned back and I could see more of the eye. At the same time, it rotated so it was looking right at me. Somehow, it seemed alive. They say the eyes are the windows of the soul. As I looked at the eye, it seemed without gender; like a young child's eye. 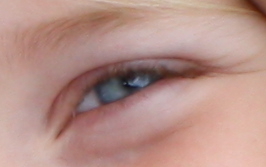 I saw so many things in that one eye: innocence, joy, laughter, boundless energy, playfulness, unconditional love. The best word I could come up with was: mirth. In this child's eye I saw unbridled bubbly mirth. But who was the owner? What child was this, and why was I seeing it now during my meditation? To answer those questions, I wanted to see more of the child's face. I wanted to pan out to see more. As I backed up, I started to see a mischievous smile. Then I had an intuitive understanding: I was not seeing a child. I was seeing God! Or maybe a representation of God. The realization hit me: I could never see all of God from this human form because God encompasses all of creation. 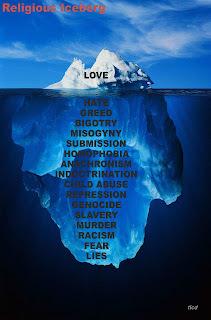 I could only see as much as God cared to reveal to me. Then I also realized: God has all this unconditional love, all this boundless energy, all this mirth. We all exist in the eye of God, and God has nothing but love for us. There is no angry, vengeful, judging Old Man with a long white beard. The seriousness and heaviness is all in the eyes of mankind. It's all child's play. Does having the name Robert increase your ability to have out-of-body experiences? For some reason, many of the people associated with out-of-body experiences have the name Robert. 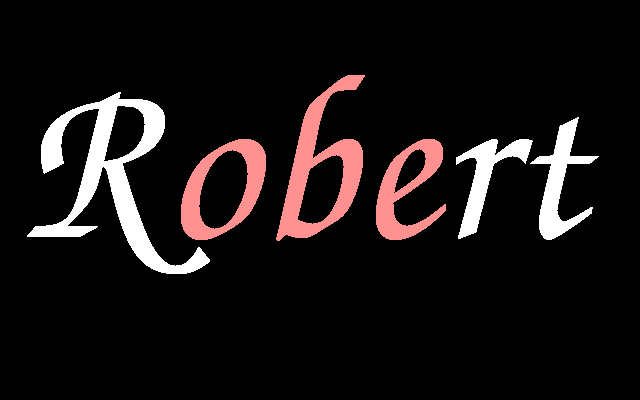 Some have speculated (in jest) that it's because "Robert" actually contains the letters OBE: R-OBE-rt. Robert Monroe is probably the most famous OBE expert of the 20th century. He founded the Monroe Institute and wrote three books on the subject: Journeys Out of the Body, Far Journeys and Ultimate Journey. Robert Crookall studied OBEs for many years and wrote many books on the subject, including The Study and Practice of Astral Projection and Out of Body Experiences: A Fourth Analysis. Let's not forget our favorite Aussie, Robert Bruce, who wrote Astral Dynamics and Mastering Astral Projection. Robert ("Bob") Moser wrote a book called Mental and Astral Projection. Robert Cornelius has an OBE book Astral Projection: Break Free in 16 Different Ways. Then there are my (Robert Peterson's) books, Out of Body Experiences: How to have them and what to expect and Lessons Out of the Body. And let's not forget Robert Moss, author of books on lucid dreaming and shared dreaming like Dreamgates and Conscious Dreaming. Okay, there are lots of OBE books out there. I own more than 150, and that's just books on out-of-body experiences. It doesn't include the many books I own on peripheral topics like Near-Death Experiences (NDEs), Lucid Dreaming. That's just OBEs. So yes, there are plenty of famous OBE authors who aren't named Robert: William Buhlman, Fred Aardema, Albert Taylor, Graham Nichols, Sylvan Muldoon, Oliver Fox (Hugh Calloway), Ophiel (Marcel L Forhan), Joe Slate and many many more. I suspect it's all just a coincidence. But then again, many of us believe there are no such thing as coincidences.